You’ve spent a lot of time, energy, and money to promote your website. And you’re probably elated whenever new visitors stop by your site. But the excitement will likely die out after some time if it’s not helping you turn a profit. Studies suggest that online businesses and e-commerce stores manage to convert only 3% of visitors. In other words, you will get just 3 sales out of 100 visitors on average. This is because it takes around 6 to 8 touches before a customer decides to purchase from you. The major problem with this is the majority of these visitors will never come back to complete the sale. So how do you follow up and make the 6 to 8 contacts required to get their trust and attention? The solution is online ad retargeting. What Platforms Can You Run Retargeting Ads On? Ad retargeting, also known as retargeting or remarketing, is the marketing process in which you target ads to users who have previously engaged with your website or social media platform, and haven’t converted to a sale. For instance, if someone visits your website and browses a few different pages, but doesn’t fill out your contact form or make a purchase, retargeting can help you reach them again. Since you don’t have their email or contact info, retargeting works via pixels and cookies. So, when someone lands on your website and leaves without purchasing, you can run a retargeting ad campaign to send them further marketing messages. Instead of wasting your entire advertising budget to get new visitors, you must consider retargeting people who have already visited your website with personalized ads and messages. 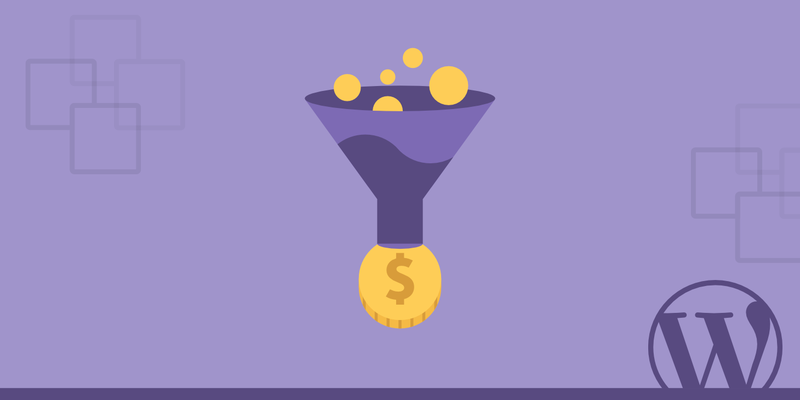 Let’s dive a bit deeper into how retargeting actually works. When visitors land on your website, they are tagged with a cookie or pixel. This allows you to earmark and target these people with customized ads wherever they go online. 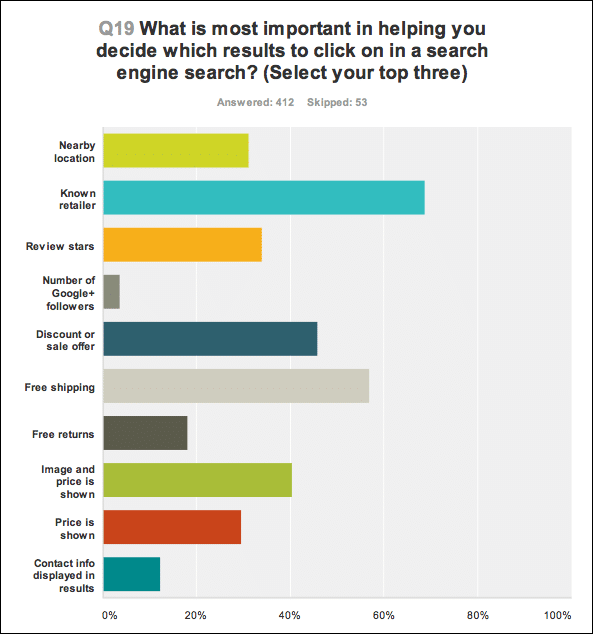 As an example, I was recently reading the BigCommerce affiliate marketing study. This is packed with useful information and a lead magnet at the end of the post. But, I didn’t end up giving them my information, like an email and phone number. Instead, I read the post and went on with my day. 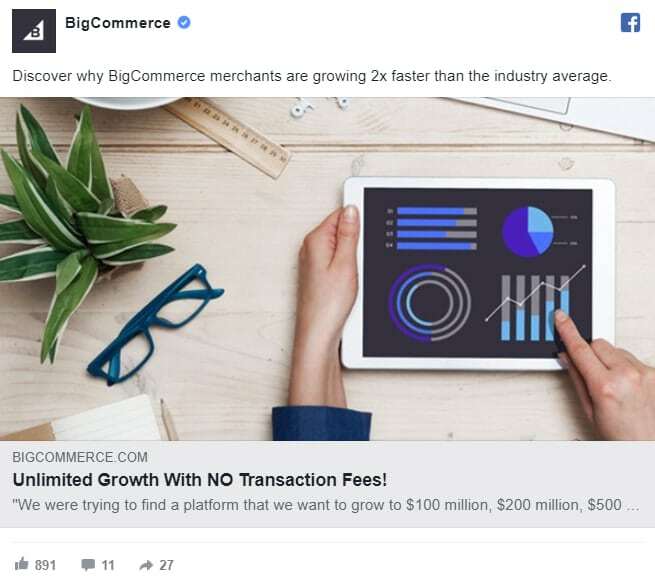 Just a few days later, I started to receive ads from BigCommerce on Facebook in relation to the affiliate marketing guide and growing an online store. This is not a coincidence. I didn’t magically start to get ads at the same time. Because they had their Facebook Pixel installed, a tag for their website connected to Facebook that allows them to send ads to people on Facebook, I received the retargeting ad. First, a website and advertiser install a “tag” to their website that tracks visitor behavior. As website visitors land on your website, they are tagged and tracked via cookies or a pixel. Remember, with data privacy changes due to GDPR, you need to ask permission from visitors to place cookies or collect data via pixels. Next, the advertiser runs a campaign targeting those visitors with relevant information that they were interested in. Does it work? You betcha. Ad retargeting has impressive backings. Retargeting increases your chances of converting website traffic by 70%. So, how can you start to use retargeting today? What are some other benefits? Read below to find out! Retargeting Ads are better than typical display advertisements in many ways. In a standard campaign, your ad will be seen and clicked by many who are not your potential customers (even with all those targeting options available). However, retargeting allows you to target people who have shown interest in a specific page or category of your website that validates their interest in your products or services. This means that your chance/likelihood of driving the sale has dramatically increased. Why? You are now targeting a list of people who have previously shown interest in what you sell! It’s essentially advertising to a “warm” audience, meaning an audience who has engaged with you before, displaying signals that they are a good fit for your product or service. In traditional display ads, many of the people you reach will have zero interest. Creating personalized ads: You can categorize your site’s visitors depending on their behavior and then serve up personalized ads for each. 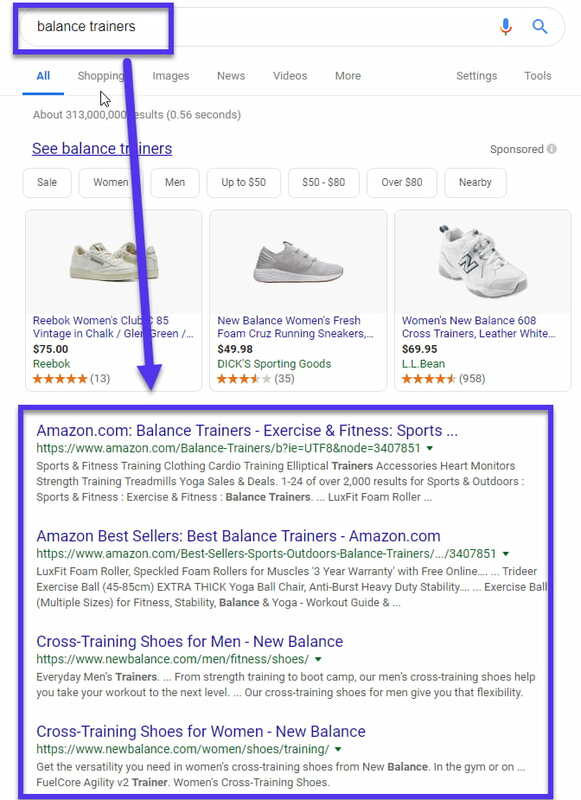 For example, a fitness equipment store can target people who visited the aerobic training category with aerobic accessories ads while those who visited strength training will see strength training equipment ads. Getting more conversions: Retargeting ads will result in a much better conversion rate and lower CPA (cost per acquisition) because you are targeting the right people with the right ads. Building brand awareness: Very few visitors will trust and buy from a brand they’re looking at for the first time, hence the low conversion rate. In fact, studies show that the first thing consumers look for on Google search results is a brand name (known retailer), even above pricing and reviews. Thankfully, retargeting allows you to follow these visitors almost anywhere they go on the web, giving them the impression that you’re a big, well-known brand. By seeing your brand name more, they start to become familiar with it, aiding in brand awareness for future sales. When they see your ads on so many websites, they will become more and more aware of you and who you are, and will become influenced by your brand identity. 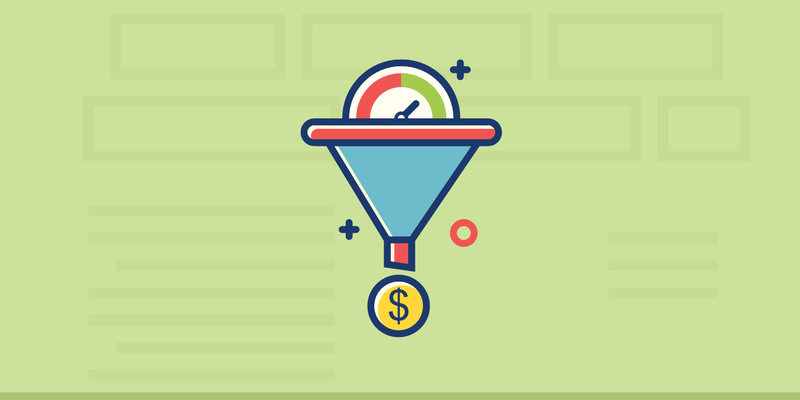 Now that you understand the benefits of retargeting ads, let’s look at the different types you can utilize to build your sales. You can retarget customers based on all sorts of things, such as searches, intent, website visits, emails, etc. All of which can be very effective at bringing back traffic to your website and increasing sales or leads. Let’s read about each of these types in detail. General website targeting is the most common type of retargeting. On platforms like Facebook, Twitter, Quora, Google Ads, Bing, or LinkedIn, you can use this type of retargeting. Essentially, you have a few different options with general website retargeting. The most common method is by creating a retargeting list for anyone who has visited your website in the last 30-90 days. This means that every person who has visited any page on your website in the last 30 days will receive further marketing ads. A second more complex option is to get more specific and exclude visitors of specific pages on your website. For example, perhaps you want to not show your ads to people who have already purchased your product or already filled out your contact form. This reduces ad spend. Or you could show retargeting ads to only those visitors who have visited specific pages on your site (like your pricing page) but never converted, meaning they were close. This allows you to tailor-make your ads for specificity. For instance, if you sell women’s and men’s clothing, it would be harder to personalize ads if you are targeting all website visitors. You can then create more specific and personalized ad content! General website retargeting is more often done on platforms like Facebook, Google partner websites, and other social media platforms. By using general website retargeting ads, one luxury watch retailer got 1300% ROI and 34% lower CPAs. By retargeting users who showed intent but didn’t purchase on their website, they were a prime audience to retarget. Some advertising platforms allow you to retarget people based on recent searches they’ve made on popular search engines. For example, someone searches for “balance trainers” and lands on a page in their network of partner websites. The visitor will be tagged based on this search and you can target them with your business’s ads. Google Ads allows you to retarget your site visitors when they are searching for a relevant product in a given Google Search. These are called Remarketing Lists for Search Ads, better known as RLSAs. You can set higher bids for people who visited your website in the recent past because these people are more likely to convert. The process for this is simple. 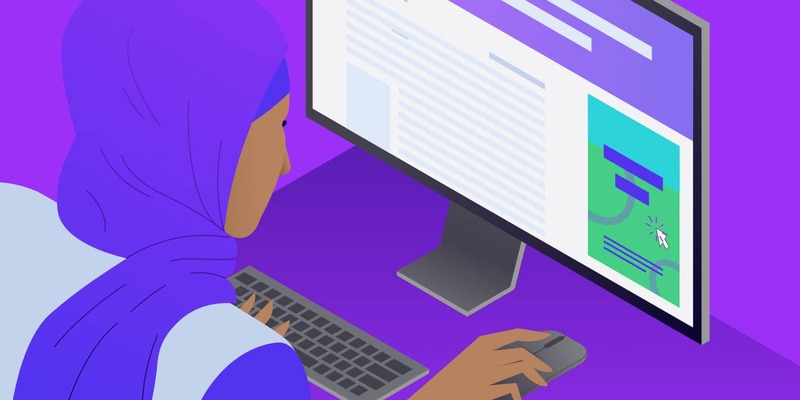 First, a user will land on your website, such as Kinsta.com. Once they have done this, they are tagged with a cookie or pixel. As the advertiser, let’s say you wanted to show up on Google search results for the “WordPress hosting” keyword (using Kinsta as an example). Instead of blanketly targeting every searcher in the world looking for “WordPress hosting,” you can target only people who have landed on your website before AND searched for the keyword. RLSAs are a great way to retarget visitors from your website on specific keywords that they will search on Google. eBags is one of the biggest online stores for bags and accessories. Read this case study to find how they achieved 10 – 15% growth in revenue by using Remarketing Lists for Search Ads. Just like the methods above, retargeting can be done with emails too! Email retargeting allows you to identify potential customers with customized ads, directly at the top of their inbox with Gmail advertising. Some platforms offer CRM retargeting in which you can target people on your mailing list even if they haven’t opened your emails or newsletters. If you’re looking to try ad retargeting, you will have to use a third-party service to manage the technical stuff like tracking pixels, cookies, audience building, reporting, and user segmentation. You can choose from one of the following platforms. Some of these are self-service while others are fully managed, it’s up to you depending on what level external involvement is needed. If you are more confident in your ability to run campaigns, you can use platforms like Google Ads or AdRoll. If you don’t have someone that can run the remarketing campaigns, you will likely have to hire a freelancer, an agency, or learn how to do them. Here are some great platforms to choose from. Google Ads is the most popular advertising network around. With an easy to use dashboard and fast setup, you can have retargeting ads running in just a few days time. If you’re using Google Ads, setting up a retargeting campaign is pretty straightforward. You just need to enable retargeting, create remarketing lists, and create customized ads to engage users on those lists. It also offers site retargeting and remarketing lists for Search Ads (RLSA). Make sure to also check out our detailed guide on how to use Google AdWords for your business. AdRoll makes it extremely easy to set up, execute, and analyze retargeting campaigns. It supports all popular networks and ad exchanges like Google, Facebook, or Twitter, so you can follow your potential customers wherever they go. If you’re debating between AdWords or AdRoll, AdRoll has a much bigger reach and is easier to set up. Perfect Audience is another easy to use platform that offers site retargeting, mobile app retargeting, Facebook retargeting, and the like. They don’t have a setup fee or minimum amount required that you spend, making it a great option for small businesses. Retargeter offers both DIY and Managed services to its customers. DIY plans are limited to site retargeting and Facebook retargeting while managed services come with additional options like CRM or search retargeting. Other than the above-mentioned platforms, popular social media networks also let you target your website visitors through native ads. The most popular site for retargeting on social media is Facebook. Why? They have the largest audience reach, allowing you to engage with it’s nearly 2.5 billion monthly active users. 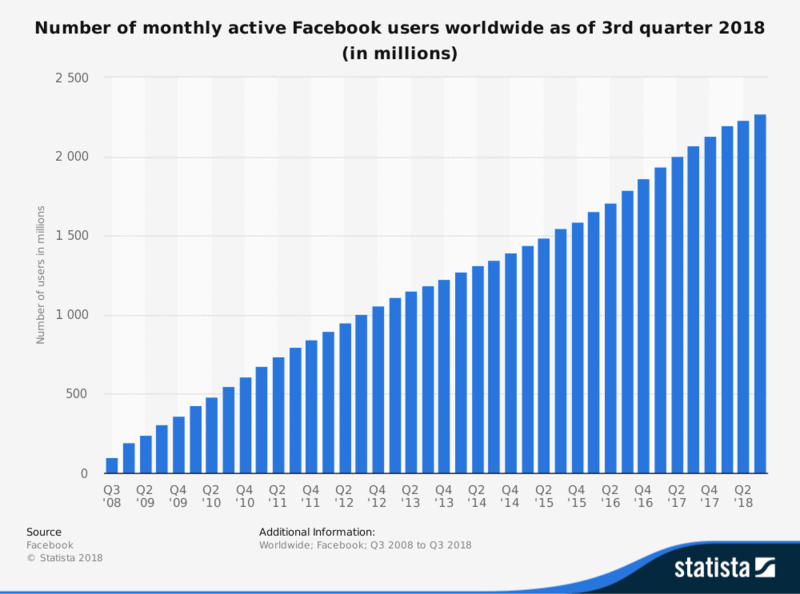 Check out some other wild facts about Facebook. Here is all you need to know about getting started with retargeting on Facebook. Facebook has such a massive user base, attracting tons of advertising potential. But beyond that, Facebook also has some of the most advanced targeting tools in the world. 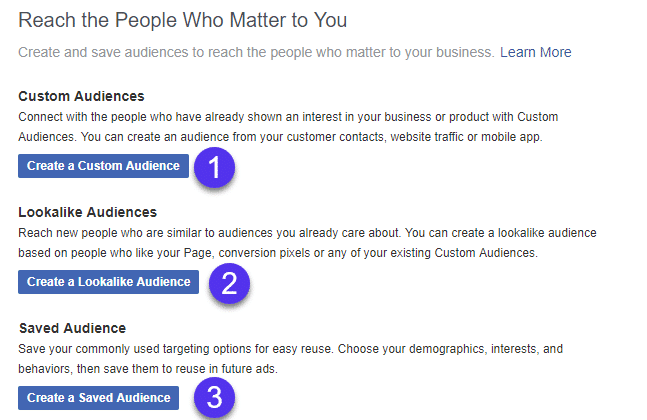 Custom audience: Develop audiences for retargeting based on people who have shown interest and engaged with you before. This can be on your website, on Facebook, via mobile apps, and more. Lookalike audience: Upload a list of your current customers to Facebook who will match it to comparable targets for precision targeting. Saved audience: Create a brand new audience from scratch using demographics, interests, income, behavior, and more. To set up retargeting ads on Facebook, you will be using the Facebook Pixel to mark your website visitors. To do this, first, create an account on the Facebook Business Manager. This platform will help you manage all of your Facebook advertising efforts. It’s free to create your account, too! On the Business Manager dashboard, click on your toolbar and select the “Pixels” option from the measuring and reporting section. From here, you have three easy options to get started. Depending on what you choose, Facebook will walk you through each step! 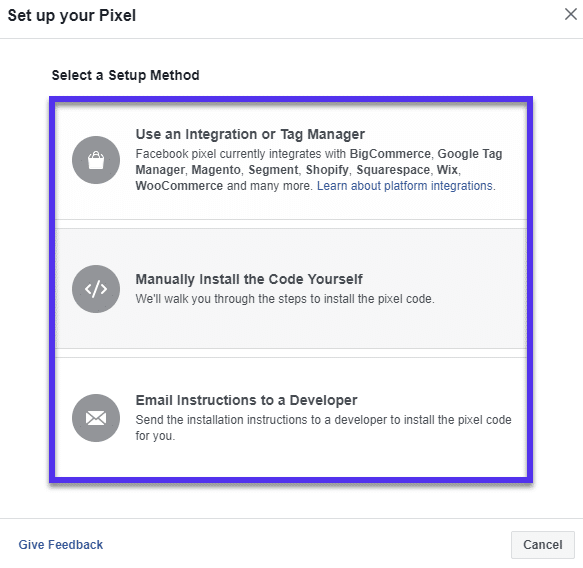 If you need help, you can check out our more detailed tutorial on how to set up the Facebook pixel on your WordPress site. Once you have the pixel installed, give it a few days to start collecting traffic data before running a campaign. Although there is no harm in starting it early, you just might not see much activity until the pixel has more data. 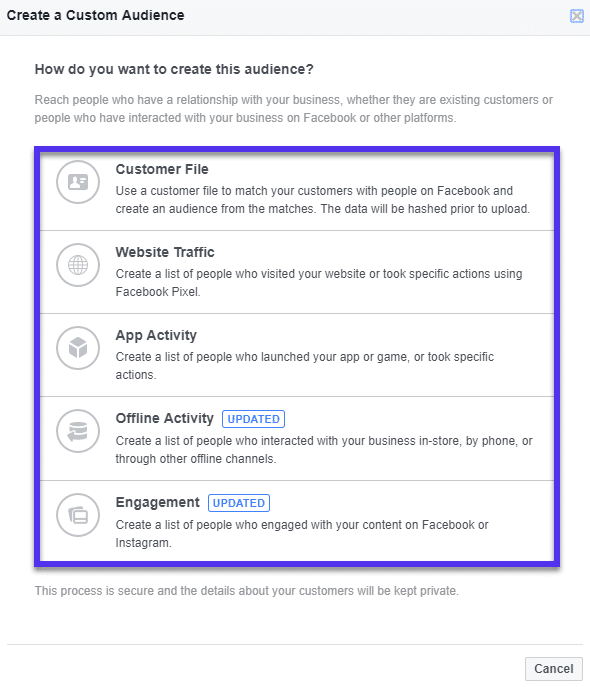 When you are ready to run the campaign, you can head to the audiences section of your Facebook Business Manager to create a new custom audience for retargeting. Once you create your retargeting audience, you can create new ads from the Ads Manager (which is within the Business Manager) and watch the traffic come rolling in! Many social media networking sites now have some type of retargeting available within their advertising options. Here are a couple other networks you might want to try it out on. Twitter Retargeting: Place the Twitter Tag on your website. Wait for a week and let it create a list of your website visitors. Then you can target these people through Promoted Tweets that will appear in their timeline. Pinterest Retargeting: Pinterest has recently added a retargeting option for advertisers, which means that you can target your website visitors on Pinterest through Promoted Pins. Quora Retargeting: Quora allows you to target people in your ad pixel that have visited your website but haven’t purchased. LinkedIn Retargeting: LinkedIn works just like Facebook and Twitter. Segment and re-engage with visitors who have visited your website with LinkedIn Ads. YouTube Retargeting: Done through Google Ads, with the same audience you set up for typical Google Ads remarketing (as seen below). If you need help with setting up pixels on your WordPress site, make sure to check out our ultimate conversion tracking guide. 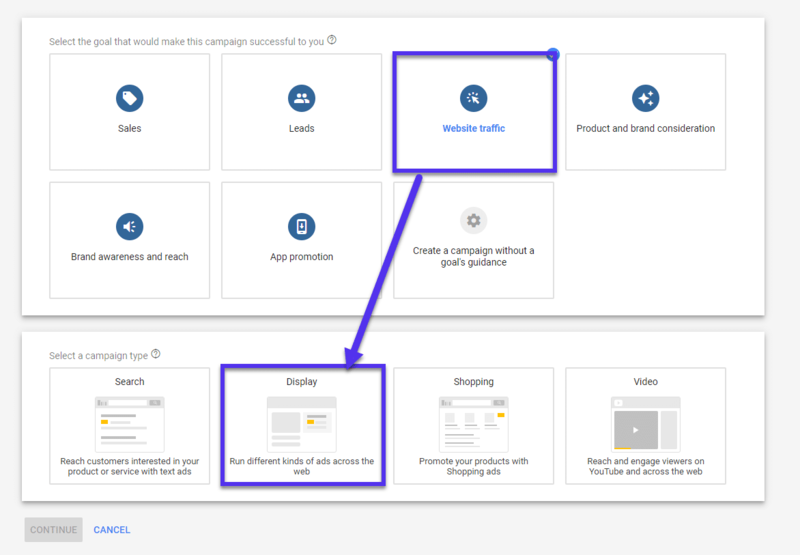 Setting up a retargeting campaign with Google Ads (previously Google AdWords) is super easy. Just follow these simple steps. You will get a small snippet of code (also referred to as “Tag” or “Pixel” on some platforms) that you need to place on your website. You can find this code by clicking to the “Conversions” section of your toolbox. From here, create a new conversion tracking element based on your website actions. You can install this just like you did with Facebook. 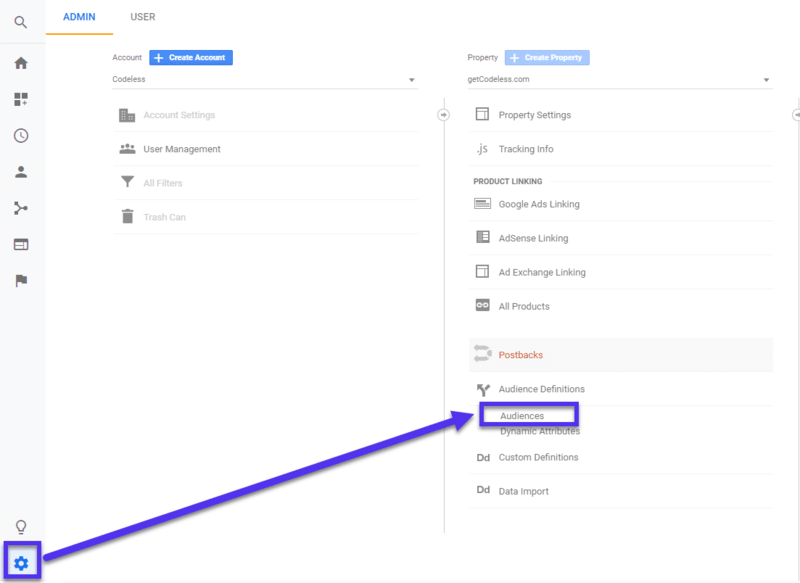 Check out our more detailed tutorial on how to set up Google AdWords conversion tracking on your WordPress site. Once in place, this code will start marking your website visitors. Next, you need to create remarketing lists. Depending on your budget or goals, you can choose to target all website visitors, returning visitors, visitors who browsed a specific section, or the visitors who performed a certain action on your website. Create ads and your ads will be served to people on your remarketing list! 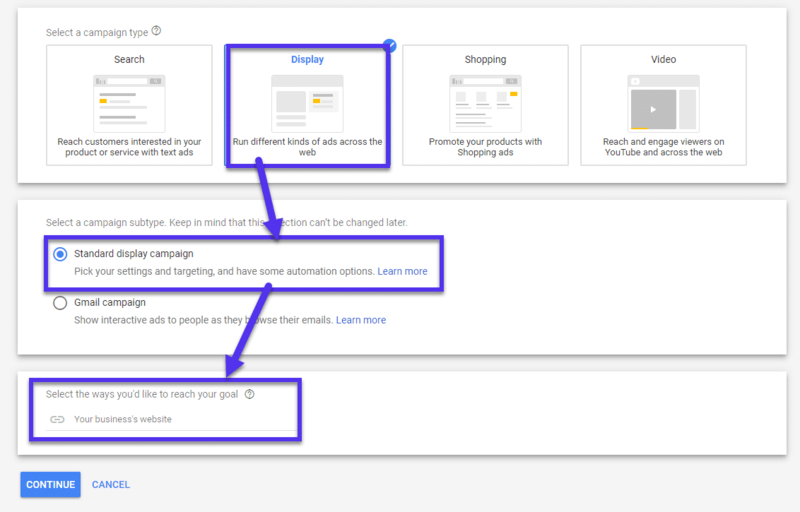 Just to give you an idea, here’s how to set up a retargeting campaign on Google Ads for the display network. 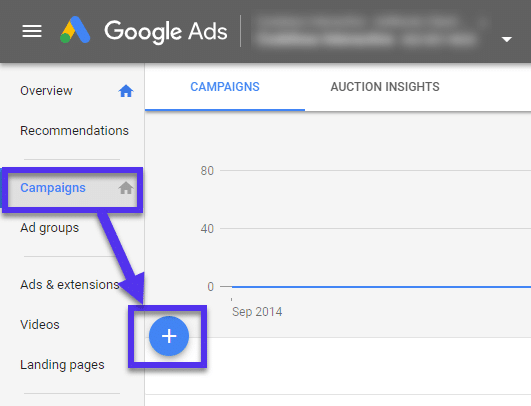 To get started, head to your Google Ads dashboard and click on the campaigns tab. From here click the blue + button to create a new campaign. Next, Google Ads will ask you to select the goal that you want to accomplish. Based on what goal you select, you will get different options to choose from. For retargeting, you can select to target for website traffic. Then select “Display” as the campaign type from the drop-down list. Display is the easiest way to start your retargeting campaign. Select the “Standard display campaign” subtype and then enter your business website. Hit continue and you can now adjust all of your campaign settings like budget, spend, and more. The most important next step it to edit your audience targeting for this campaign to select a retargeting list! 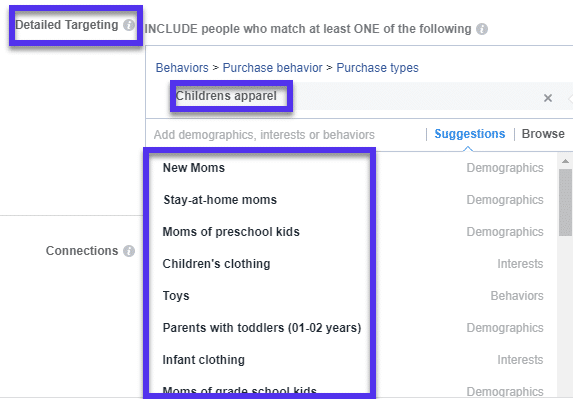 Scroll down to the audience section and select “How they have interacted with your business.” This is where you’ll find your retargeting list. 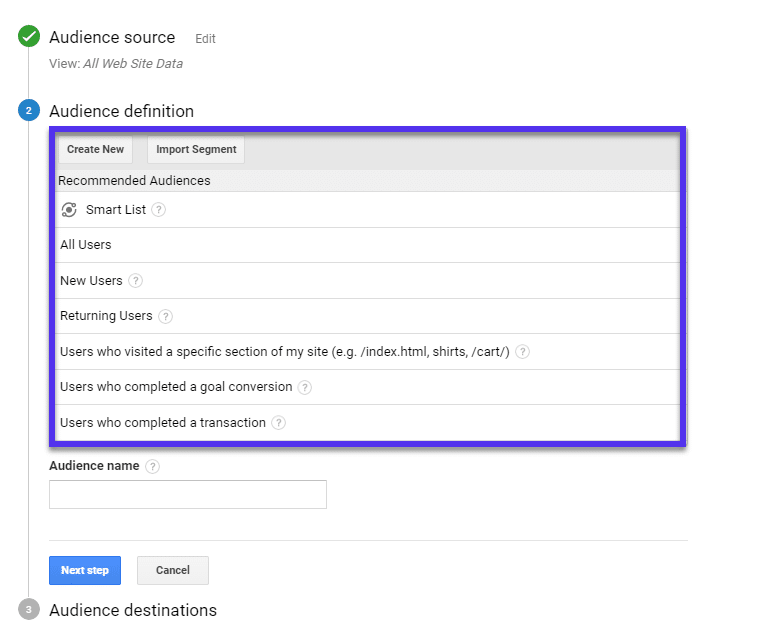 On top of creating retargeting ads and audiences on Google Ads, you can also set them up on Google Analytics. Here’s how. 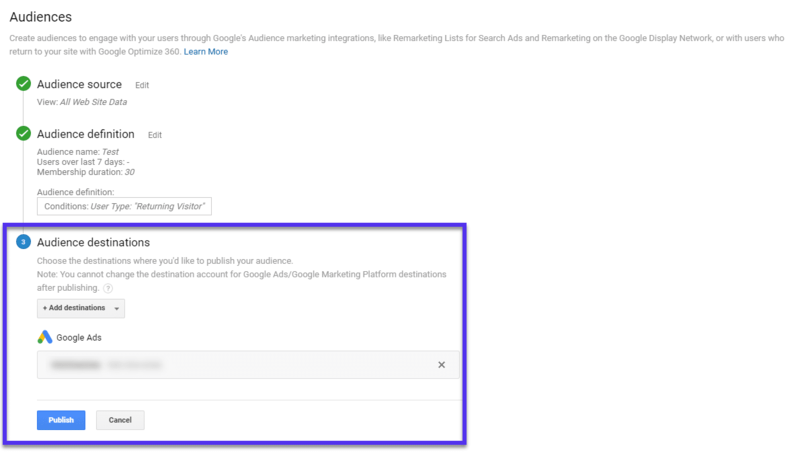 Important: We recommend making sure you have already linked Google Ads with your Google Analytics account before proceeding. Click the red button to create a new retargeting audience. From here, you can select a bunch of premade audience types, like targeting all website traffic, returning visitors, specific site pages, etc. Or, you can create your own audience type. For simplicity, if it’s your first audience, select to target all users. Once your audience is created, simply link it to Google Ads as your destination and publish the audience! 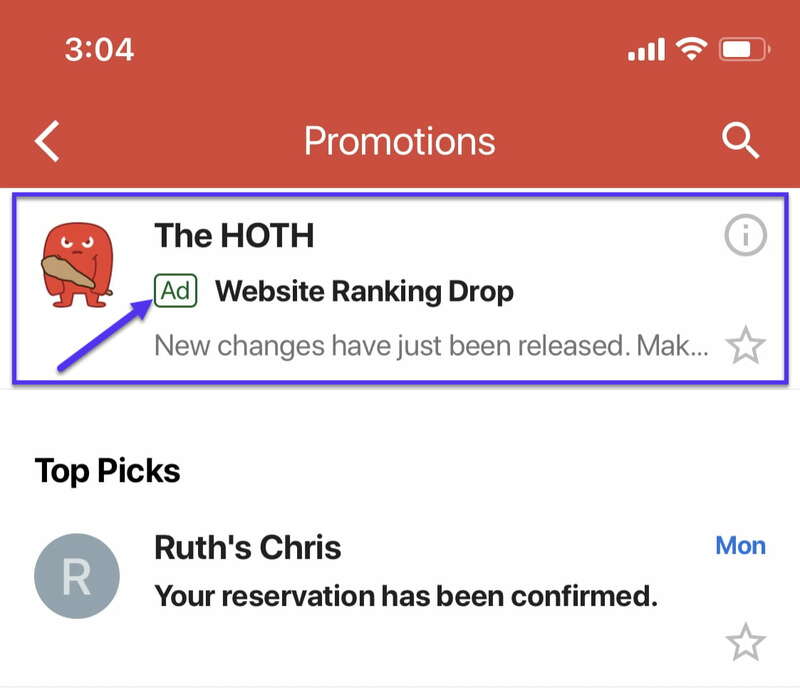 Refresh your Google Ads dashboard and you will now see the new audience ready to use. Ad retargeting can be a great cost effective route for those on a budget. Why? Because you can focus on converting only those already interested in your brand. You can also easily exclude those who have already purchased or reached out to you. We highly recommend giving it a try to see if it works for your business. But of course, ad retargeting is just one of the many different ways you to increase traffic and sales. 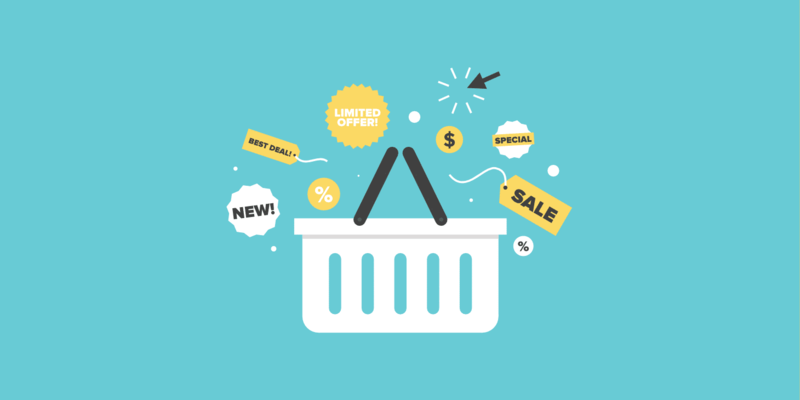 Check out these 25 different ways to optimize your ecommerce conversion rate. Now we want to hear from you. Have you set up an ad retargeting campaign? How did it go? Please share your experiences in the comments! We do Youtube video re-marketing, Facebook re-marketing, and Google Display (banner ad) re-marketing for our clients. Most people don’t know that Youtube video re-marketing is available. It’s done through Adwords using the same audience set up you described in the post. Retargeting is an important feature provided by AdWords. You have described it very well how to set up and target it. Thanks for sharing. The devil is in the details and the planning. A well thought out plan will help you execute with ease and a laser focus.